Some incidents occur by chance, and others occur because of neglect. The deadly duodenoscope statistics are too numerous for chance, but they do indicate that neglect may have occurred in each case. 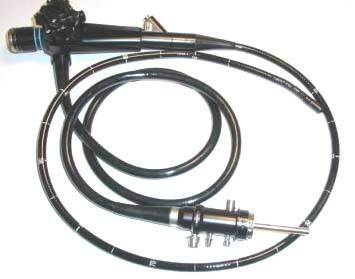 Researchers found that the duodenoscopes in many of the cases carried the E. coli bacteria. E. coli usually grows on unsanitary objects. The FDA released several supportive documents to assist medical facilities in providing high-level sterilization for their equipment. However, the releases cannot assist the people who have already been affected by the infected duodenoscopes. Whose Fault Is It When a Patient Dies? The family of the victims can collect monetary compensation if a judge finds that neglect played a factor in the incident. He or he may rule that medical practice took place. Medical malpractice is an incident in which a medical caretaker’s negligence causes a patient to die or suffer from an exaggerated medical condition. The survivors can look at one of two parties for medical malpractice compensation: the individual doctor or the entire facility. The victim’s family could claim that the person died an unnecessary death because of a medical employee’s failure to use the appropriate sanitation methods. Ensuring that equipment is clean and sanitary is one of the responsibilities of medical workers, according to the oath. Such personnel are supposed to act in a manner that protects the patients’ best interests. Failing to ensure that an instrument is sanitary is a huge violation of a patient’s rights. A judge may hold the medical institutions in the previously mentioned situations liable for the wrongful death of multiple patients. The family members of the deceased individuals in the above incidents may be eligible for two types of compensation: compensatory and punitive. Compensatory damages can cover their medical bills, household bills, counseling and funeral expenses. Punitive damages can cover them for their pain and suffering. The surviving victim can contact a medical negligence attorney and schedule a consultation to find out more about compensation. Medical negligence attorneys can assist living victims of duodenoscope infections or the families of deceased victims. The first step is scheduling a consultation with an attorney. The attorney may offer the person contingency coverage so that no additional stress is involved in the case. Contingency representation released the victim from the burden of retainer fees until the attorney wins the case. In some cases, the attorney will not ask for a penny until the settlement check arrives. At that point, the attorney would take a portion of the check.